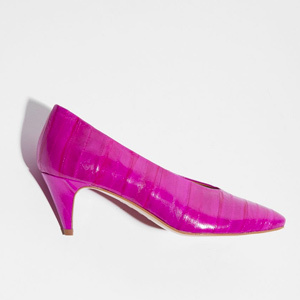 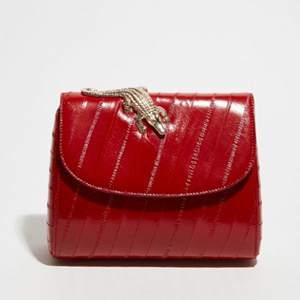 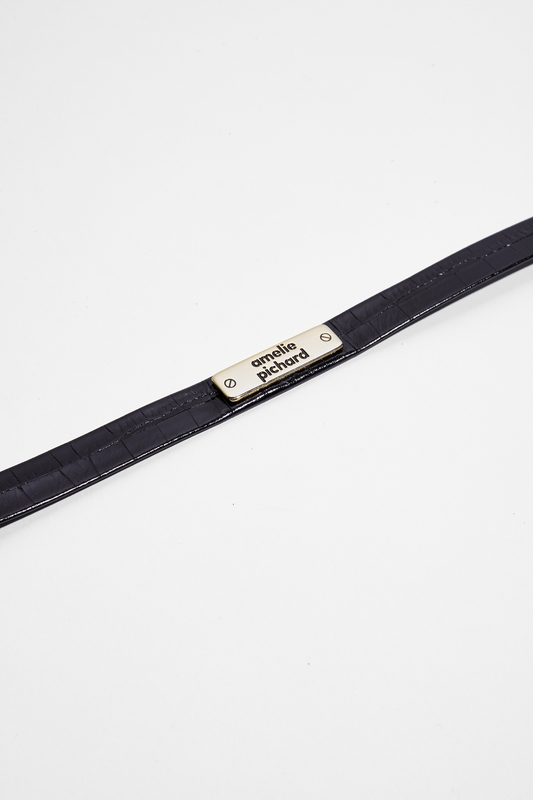 Black patent croco imitation belt. 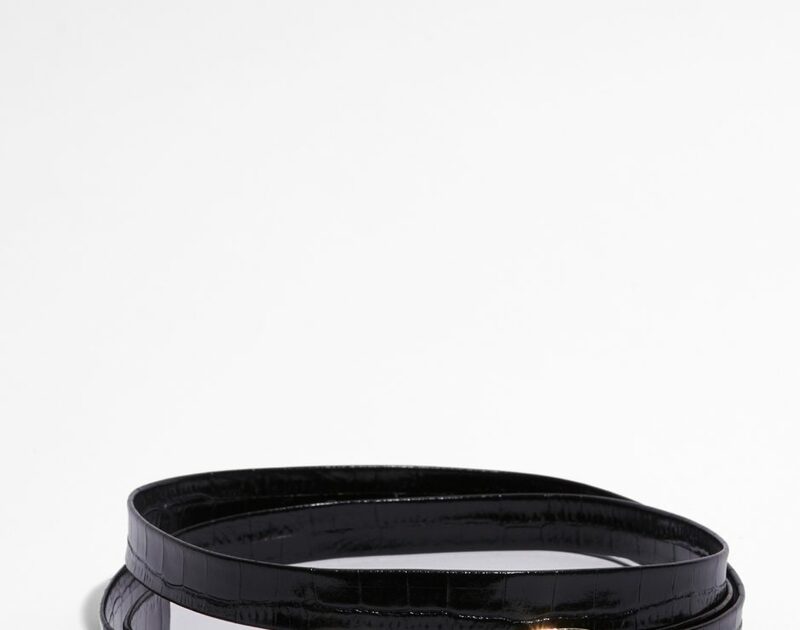 Black patent croco imitation belt. 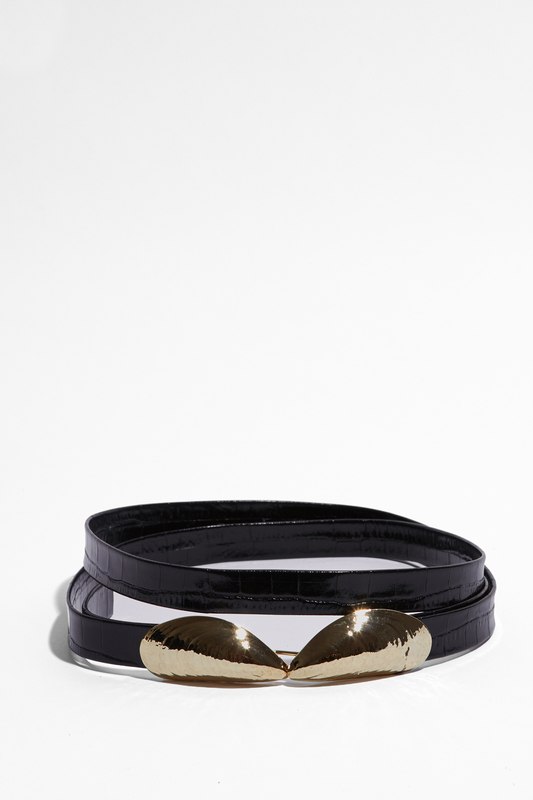 Metallic "mussels" buckle with a "you & me" hook. 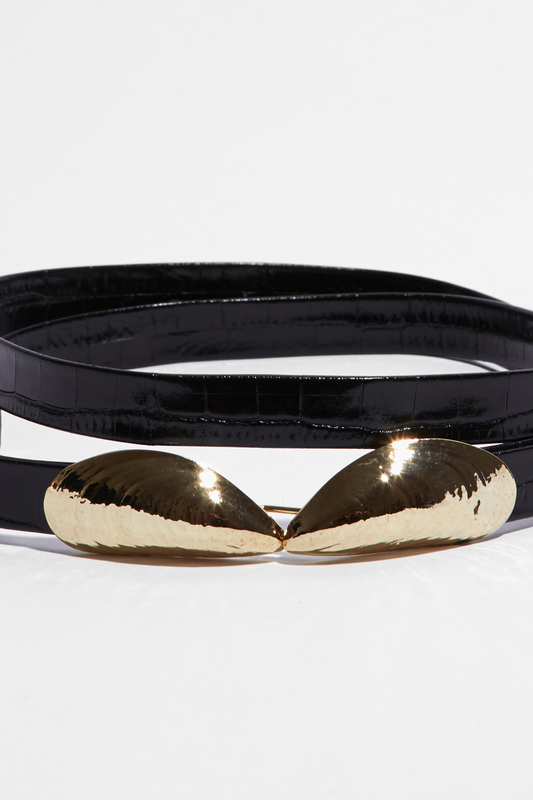 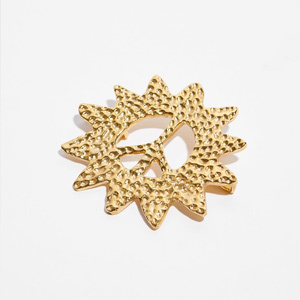 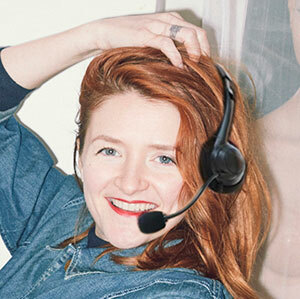 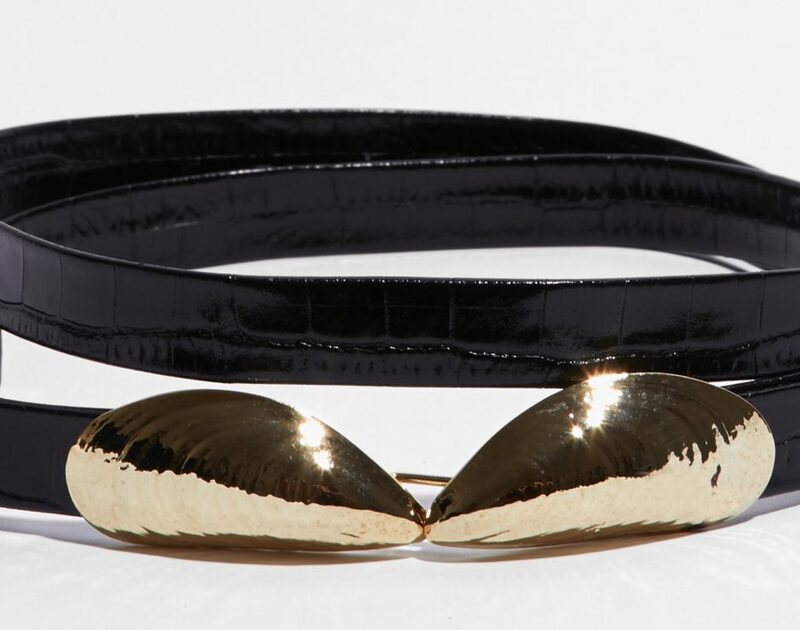 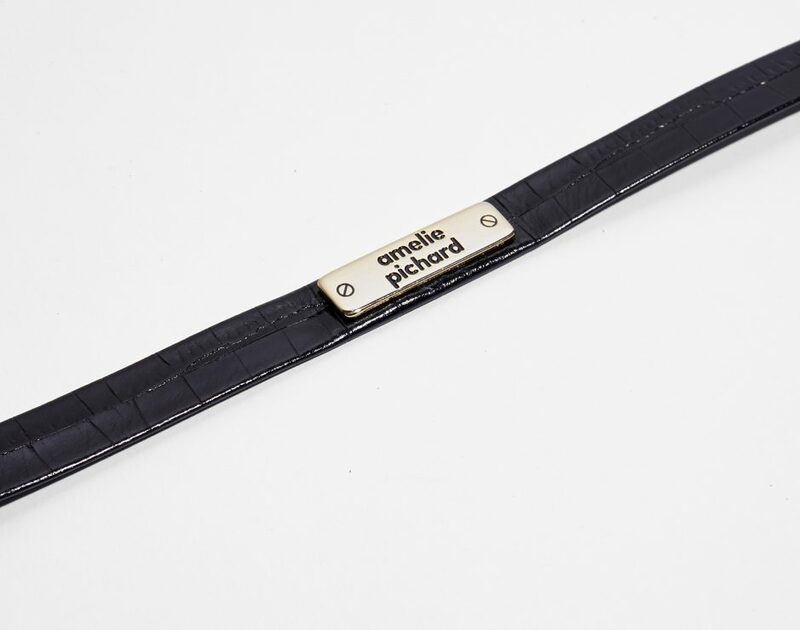 Adjustable belt (max 43.30in) contains small gold metallic plate signed Amélie Pichard in the middle of the back.